Linking New Mexico and space in the same sentence conjures up visions of aliens and mysterious goings on, especially in places like Roswell, home of a UFO museum and festival. However, this reputation belies how much New Mexico has actually contributed to our understanding of science, aviation and space over the 80 year period (from 1930 until 2010) covered in this book. Roswell itself was even the site where Robert Goddard carried out much of his early rocket research. The author, Loretta Hall, a former high school math teacher turned freelance writer, researched through archives and media and personal interviews how aerospace endeavors in her state ultimately led to the approval for a spaceport in 2010. She has brought these milestones to life in her book, Out of this World: New Mexico’s Contribution to Space Travel. Ms. Hall explained the draw of New Mexico, namely, its wide open spaces and sparse, but enthusiastic population, suitable for the research and development of space-going vehicles. The book is divided into ten chapters, each one concentrating on an important aspect in the road to human space flight. Numerous photographs, sidebar comments and a bibliography at the end of each chapter enhance the reader’s comprehension of the topic. While people dreamed of traveling in space for millennia, it was not until the late 1800s and early 1900s that the first steps were taken to make this a reality. One of the early pioneers was Robert Goddard who, due to public pressure against his rocket research in his native Massachusetts, transplanted his lab to New Mexico where he received a warm welcome. At his bare bones facility in Roswell, he perfected his liquid-fueled rockets, a technology that would evolve into the means to take humankind into space. Americans did not have a monopoly on rocketry, as rocket research was conducted concurrently in Russia and Germany. Germany launched the V-2 rockets against England in World War II. Towards the end of the war, many of these Germans, led by Werner von Braun, were brought to America to continue their research at the newly constructed White Sands Proving Ground (to become the White Sands Missile Range in 1958), approximately 100 miles west of Roswell. Also at White Sands and the neighboring Holloman Air Force base in Alamogordo, research that included live subjects was conducted. Monkeys and chimpanzees were launched on converted V-2 rockets and balloon tests with humans studied cosmic radiation effects on the human body. Research with human subjects continued at Hollomon during the Mercury era, concentrating on testing the limits of human endurance during take offs and landings of space vehicles. With its ideal geography, New Mexico was the scene of cosmic observations that date back more than 1,000 years. While the ancient astronomers used primitive instrumentation, astronomers of today utilize sophisticated radio and optical telescopes, including the Very Large Array near Socorro and the National Solar Observatory at Sacramento Park near Alamagordo. As noted above, New Mexico has been the focus of groups convinced that aliens and their craft landed in the area. The author presents all sides of the issue and provided explanations for many of these events, from secret military aircraft development to mutilations of livestock. The latter part of the book is devoted to the pursuit of space travel by private companies and groups, relevant in light of the conclusion of the Space Shuttle program. Commercialization took the form of competitions in the past 20 years for private companies to build and launch rockets and spacecraft with significant monetary prizes going to the winners. This competition may be the beginning of our spaceflight future as these fledgling companies demonstrate their ability to build sturdy craft to get people into space and back. New Mexico today offers a good place to build a spaceport because of its low population and ideal geographical conditions. Ms. Hall goes into depth discussing how the idea first took hold, continuing to garner local support and ultimately the support of the State of New Mexico. This chapter is still open, but it goes a long way to supporting not only the possibility of space tourism, but sound business opportunities with government and major aerospace customers. 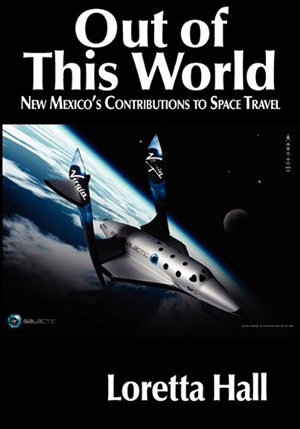 For members of NSS, this is a clearly understandable account of how research and development of simple rockets has led to the prospect of a real spaceport in New Mexico. Young adults and adults will enjoy learning all the breakthroughs that occurred here.